Meet Ogina Lata, the general manager of The Palms on Denarau Island. 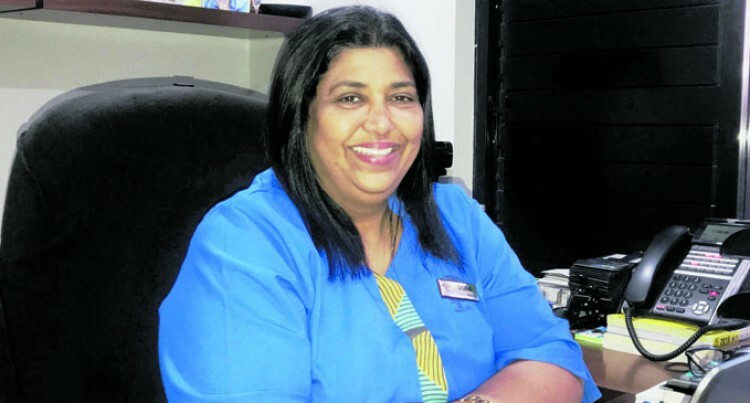 With three decades of experience in the tourism industry, she is now the only female general manager of a resort on the tourism hub of Denarau. She rose through the ranks from when she began as the Food and Beverage cashier in 1987 at the Regent of Fiji, the pioneet resort on the island. . The 52-year-old former Korovuto College student attained a General Hotel and Trade Certificate from the former Fiji Institute of Technology (now Fiji National University) at Nasese, Suva. She has attributed her success to hard work, being honest, passionate and having a good attitude. “It has been 31 long years, but it has been worth it and I have never regretted the career that I chose,” Ms Lata said. Ms Lata moved to Sheraton Fiji Resort and later moved to hotel developer Tabua Investments where she worked as a sales executive. During this time, Tabua Investments sent her to Unitec University in Auckland where she studied real estate. Tabua Investments then moved her to the Terraces Apartments where she was there from pre-opening and became the front office and reservations manager from 2005-2008 and was promoted to operations manager till 2013. “During the past five years, I was the General Manager at the Terraces until I moved over to the Palms. “For me I was very passionate about this industry and loved every minute I spent here since I began work. “I tried my hands at everything and did not want to stay in my comfort zone and I guess that it is the reason why I am here today. “I have always strived myself at attain a top position and promised myself that one day I will be a general manager of a hotel and this is where I am today. Being the only female general manager on Denarau has not gone down well with some in the industry who cannot fathom the position she is in. Finding time between family commitments and work had been difficult at the start and as time went on she managed to work things out. The Palms Denarau, is one of the premier Executive Apartments and Accommodation on Denarau Island and is owned by Hari Punja and his family. Ms Lata said they treated her more like family than an employee. She has two children and two grandchildren.